IIHS Top Safety Pick. Boasts 35 Highway MPG and 24 City MPG! This Hyundai Sonata delivers a Gas I4 2.4L/144 engine powering this Automatic transmission. STANDARD EQUIPMENT -inc: base vehicle, MIDNIGHT BLACK, GRAY, LEATHER SEATS. * This Hyundai Sonata Features the Following Options *CARPETED FLOOR MATS, Warning lights -inc: oil pressure, battery, door ajar, airbag, seatbelt, low fuel, trunk open, brake, check engine, ABS, TPMS, Warning chimes -inc: key-in-ignition w/door ajar, seatbelt, Trip computer, Traction control system (TCS) w/electronic stability control (ESC), Tire pressure monitoring system (TPMS), Speed-sensitive variable intermittent windshield wipers, Solar control glass, SiriusXM satellite radio w/90-day subscription, Shift interlock system. * This Hyundai Sonata is a Superstar! *IIHS Top Safety Pick, KBB.com 5-Year Cost to Own Awards. * Expert Reviews! 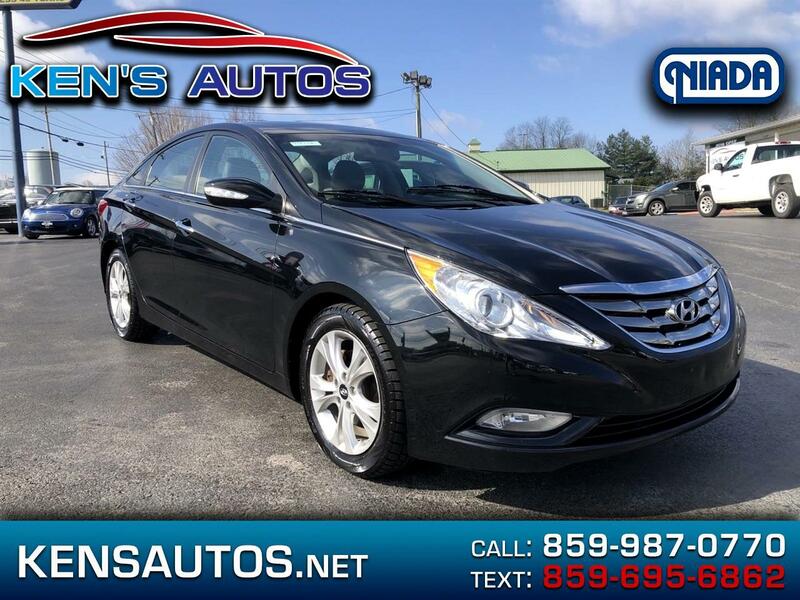 *As reported by KBB.com: If you're in the market for a mid-size sedan and the usual suspects fail to arouse your emotions, the 2013 Hyundai Sonata could be the perfect choice. Given its generous level of standard equipment, its lengthy warranty and rising residual values, the Sonata offers perhaps the best value of the group. * Stop By Today *You've earned this- stop by Kens Autos located at 1801 Main Street, Paris, KY 40361 to make this car yours today!